Google’s IoT operating system Brillo & the Weave communication protocol are now available for developers through an invite. I recommend taking a look at the video, and if you are planning on something in this area, I strongly recommend requesting an invite in the Brillo web site. Google’s Project Loon aims to bring balloon-powered Internet to Indonesia’s 17,000 islands, and Indonesia is a country where currently only one about one third of the population has access to the Internet. Tests wil start in 2016. Through the Google Play Games, Android users can now record & publish the gameplay to YouTube. 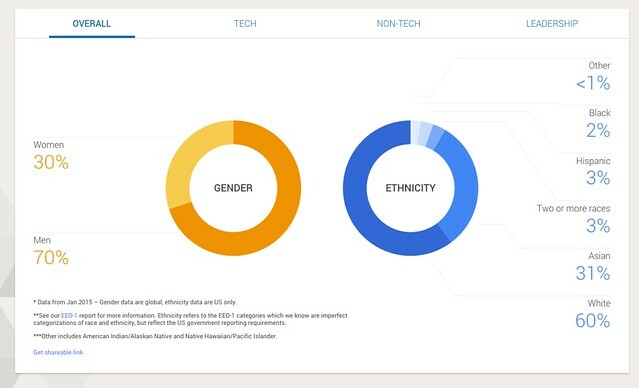 Google publishes its diversity numbers at google.com/diversity. Google Photos has reached 100 million active users in just 5 months! They published a post about it, together with 10 other interesting facts about the service! Google is using machine-learning AI RankBrain for improving search results, and Bloomberg had an interesting article on it and Search Engine Land created a FAQ on the topic.